MyCIT.ie - Exciting times ahead! Welcome to the new CIT semester. 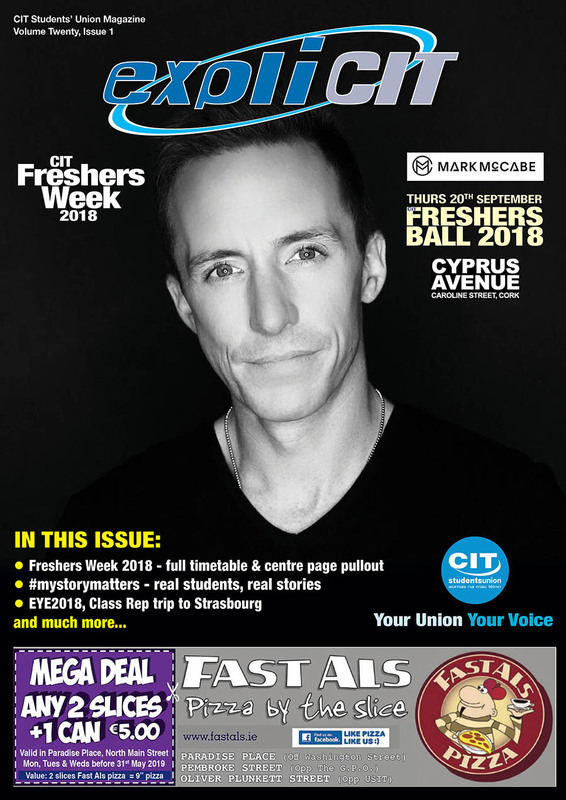 You can see all our CIT SU offerings and activities in the latest issue of our monthly magazine, expliCIT... available on campus now... please take a copy!